Our curriculum was devised in order to prepare the children enrolled at Hillcrest Academy for what lies ahead in their early education. 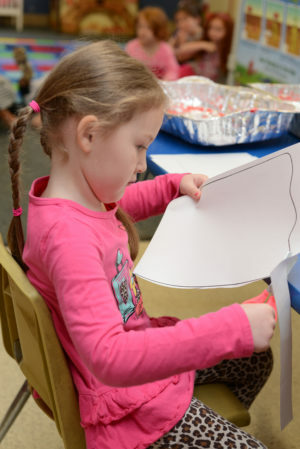 We encourage our children to be creative and provide the opportunity to allow self expression in a variety of disciplines including, but not limited to, hands-on math and science, speech, sign language and writing, arts and crafts, music and movement and dramatic play. We start with our Infants and examine development, give daily written reports and have excellent parent communication verbally. The infant room is equipped with literature and flashcards for group time, soft building materials for stacking and knocking down and the opportunity to interact with our long term nurturing teachers. Your infant is made to feel like one of our own. Every child enrolled in our program has one-on-one time with their caregiver. Favorite songs such as “Itsy Bitsy Spider”, “The Wheels on the Bus” and “Old MacDonald had a Farm” are repeated and encouraged throughout the day. Language is highly encouraged and our specialized teachers provide opportunities for children to reach all milestones, such as rolling over, crawling and taking first steps. 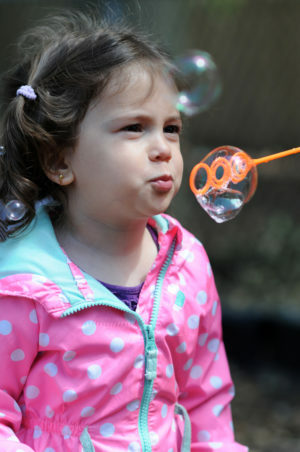 In our Infant/Toddler group, language is exploding and the children are truly becoming individuals of their own. In this classroom, the teachers give written communication to the parents daily. Some of our Infant/Toddlers express an interest in potty training and we gladly oblige. Circle time is so much fun! We do storytelling, play musical instruments, jump, dance and sing. Our high energy teachers introduce new concepts like colors and shapes to spark an interest in learning more! Sensory play is a big hit with this group and there are many different outlets to allow them to explore new objects and textures. We begin introducing Sign Language and Spanish in this classroom. In Toddlers we are preparing the children for Preschool. More time is spent on Potty Training to help them transition into Preschool without diapers. Among other things we focus on self-help skills such as washing our hands and putting on our coats. Meeting time is fun and a review of lessons learned previously is repeated to build a strong foundation for Preschool. The room is sectioned off into various play areas for our Toddlers to explore and become more independent. We allow the children to express themselves with words and actions while playing in dress up, blocks or the reading corner. Teachers focus on body parts, motor skills, and matching. In our Preschool classroom we are in gear for preparing our little ones to reach for the stars. Our environment is rich with different mediums allowing them to explore and try new ideas and different concepts. We encourage the children to work out conflicts amongst their peers by using their words and problem solving skills taught by our experienced long term teachers. Self help skills are encouraged as well as additional skills preparing them for Pre-K. We begin working on letter recognition, opposites, weather and much more. Our Pre-K program was designed and developed to cater toward the children earmarked for joining the New Jersey Elementary School system. We are happy to exclaim the great feedback we receive every year on the strong and sturdy foundation we provided for our students who leave us and enter the public school Kindergarten program. Our students work on a variety of skills including letter recognition, letter sounds, writing and many others. We provide our children with a warm and welcoming environment which promotes learning and cooperation amongst peers.